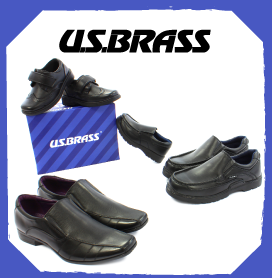 US Brass shoes are a trusted brand that our buyers couldn’t wait to share with all our customers and we know once you take a look at the range you'll love the styles as much as we do. 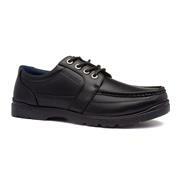 If you find it tough picking out boys school shoes then browse this range where there is a huge selection of smart, classic styles that will see him through term time. Worried that he goes through shoes quickly? fear not, these shoes offer nothing but durability. Why not pick out a look that's similar to dads with a grown up pair of lace up shoes, still a little young for laces, then simply choose an easy slip on or velcro fastened style that he will have no trouble getting on and off himself. Calling all you stylish guys out there, treat your feet to an absolute classic style by adding a pair of our fantastic US Brass shoes to your outfit. 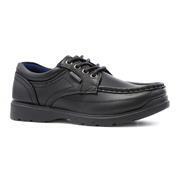 They add a slick touch to skinny jeans and crisp shirt or smarten up your office look and add a touch of comfort with our laofer shoes. 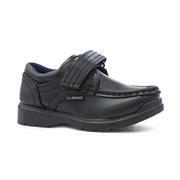 With so many different styles to choose from, available at our fantastic prices why not mix up your look more often. 16 products from £12.99 to £19.99.